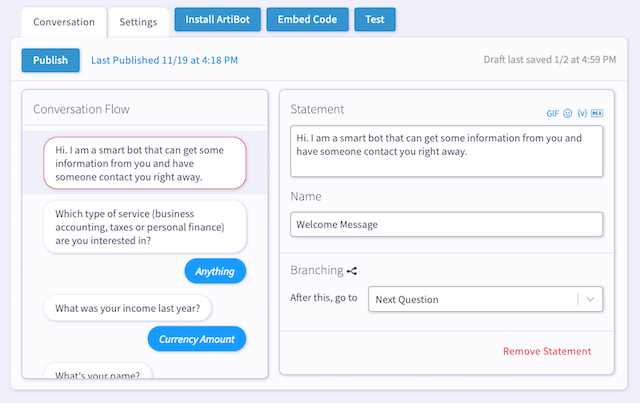 ArtiBot can capture leads through a conversational flow that you design. The conversation can branch based on user's answers, allowing you to identify more urgent leads or asking a different set of questions based on the lead type. 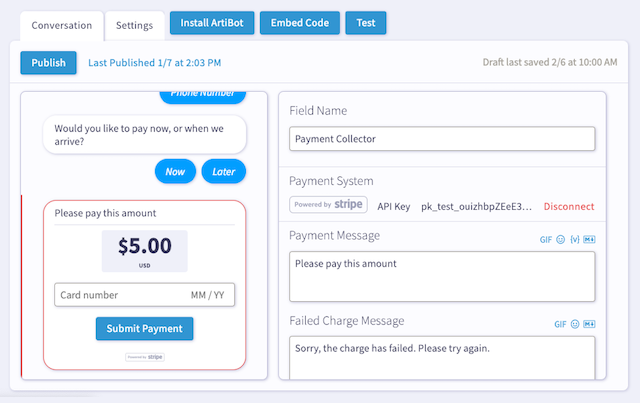 As soon as ArtiBot captures a lead, or schedules an appointment with you, you'll be notified via email or through the free ArtiBot app. No website? No problem. Link to an ArtiBot.ai hosted page from anywhere and start gathering leads without a website. 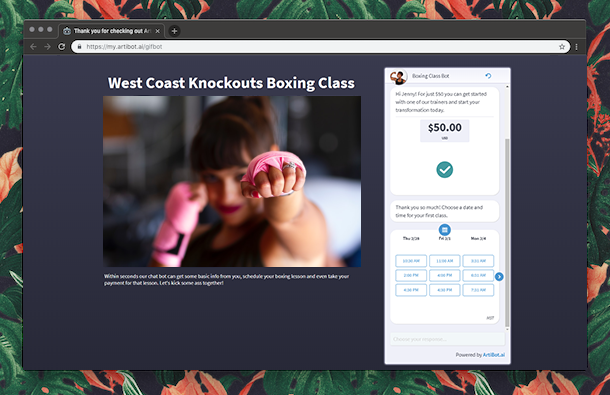 Hosted ArtiBot.ai Pages are perfect landing pages and are easy to create. We live in an always on, always connected world where toggling between devices has become the norm. 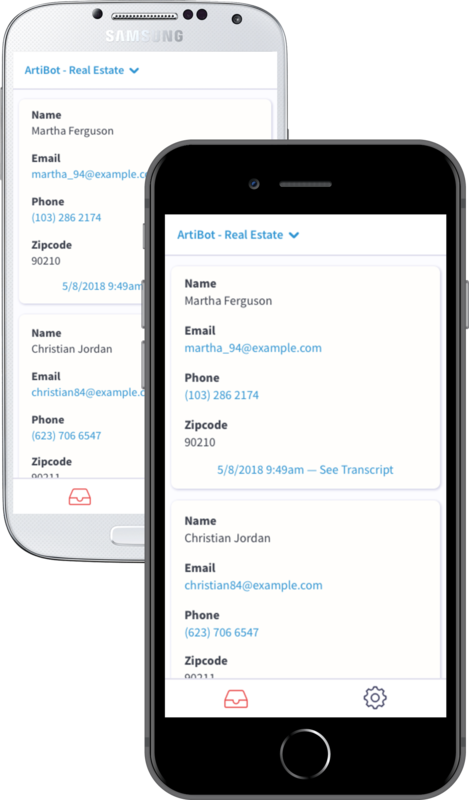 ArtiBot has a mobile app for both iOS and Android devices so you can get notifications and view your leads on the go.